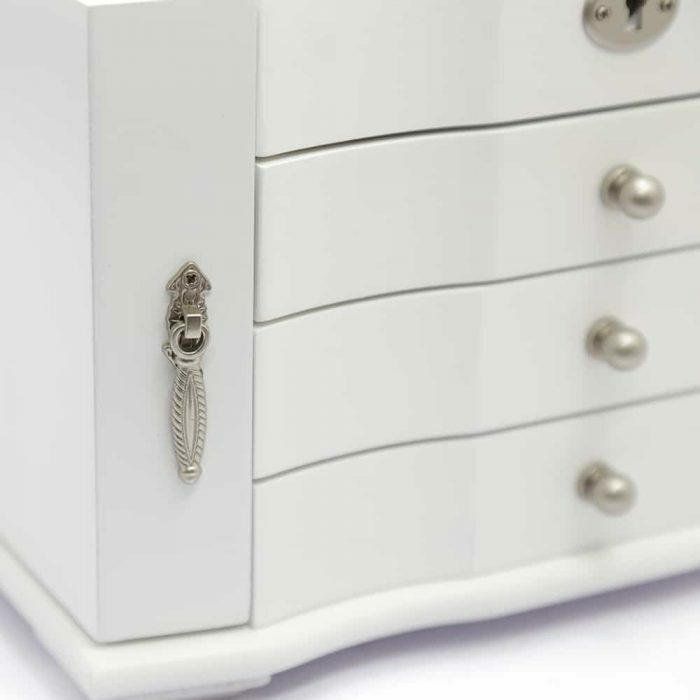 has a platinum white wood look with silver features, some in a stunning antique design. 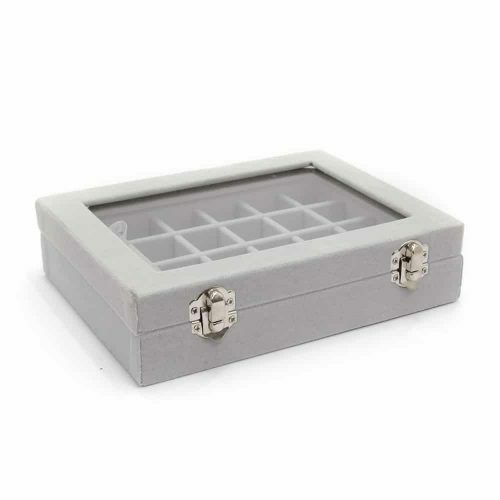 This box also comes with a lock and key fob to ensure your valuables that are stored are safe and secure. 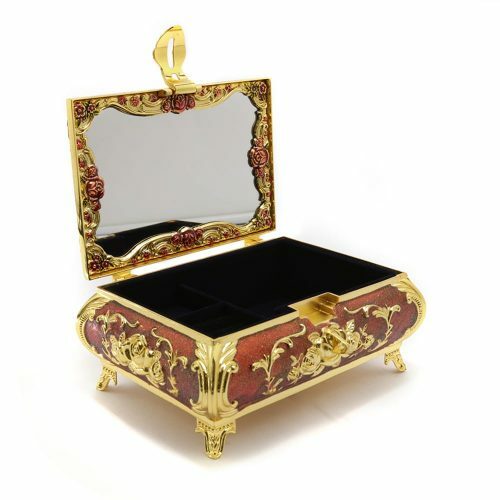 When opened, it has a large mirror on the lid and a beautiful white velvet interior. 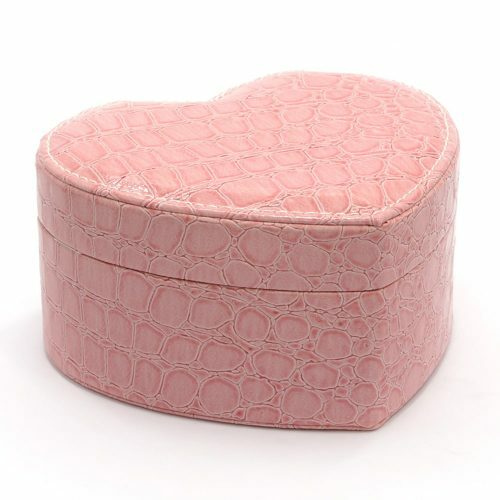 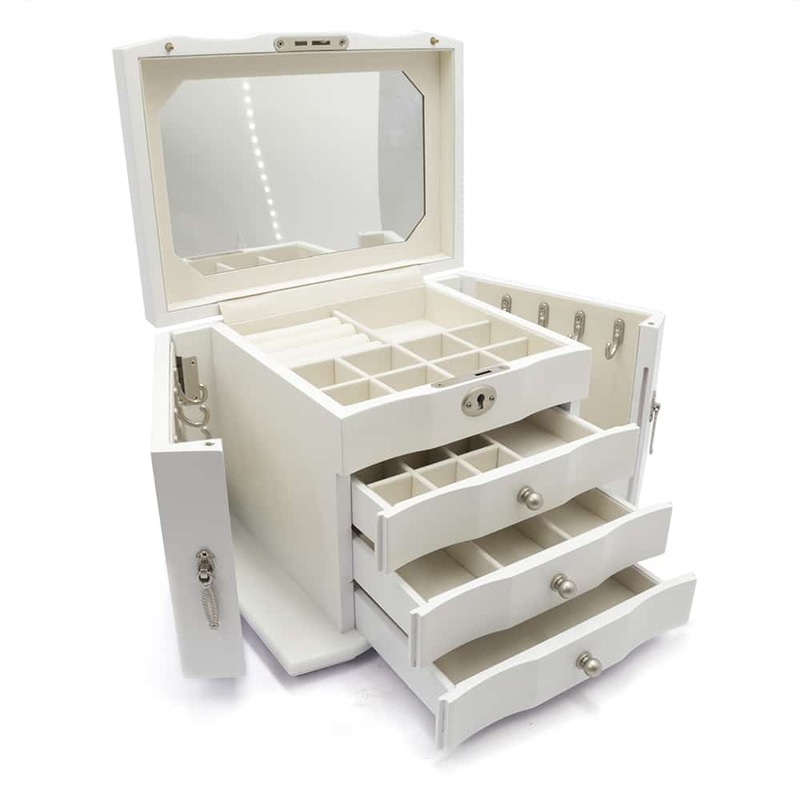 The top contains 8 smaller compartments and a large area with ring cushions. 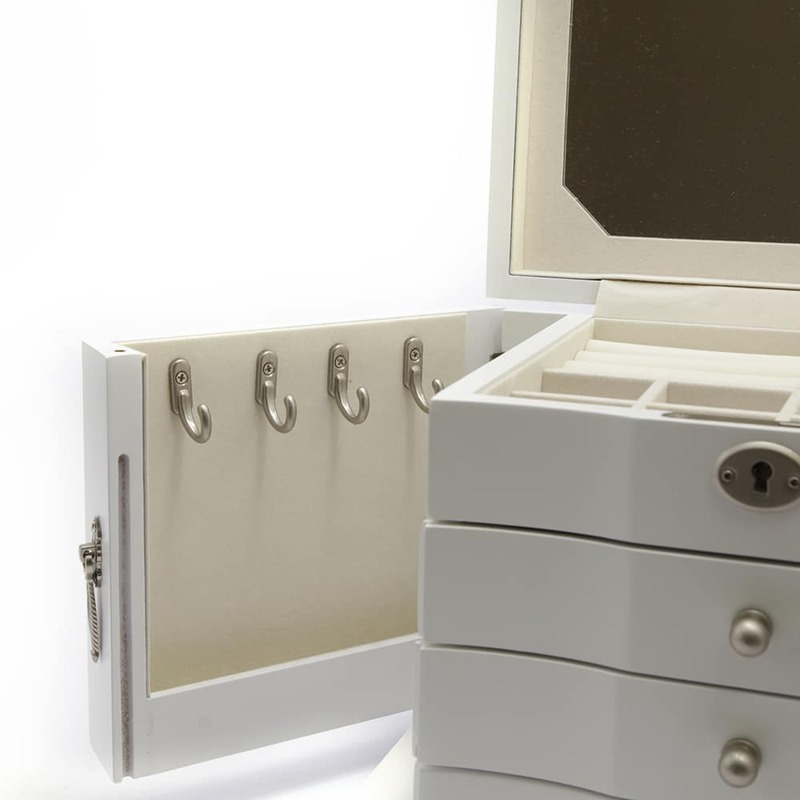 The sides of the box open out and have 4 hooks on each side to hang your necklaces tangle free and securely. 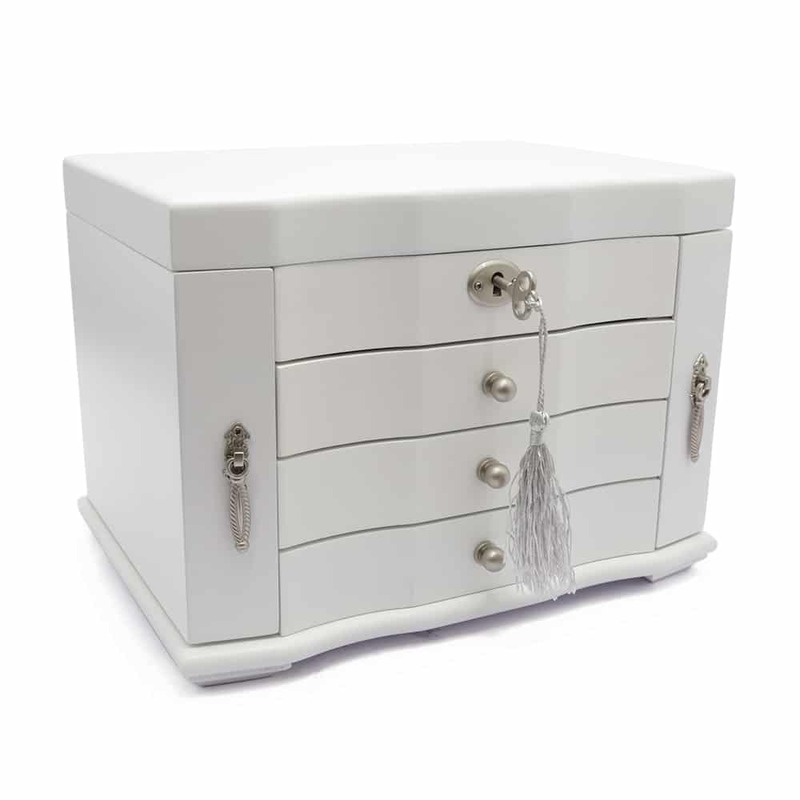 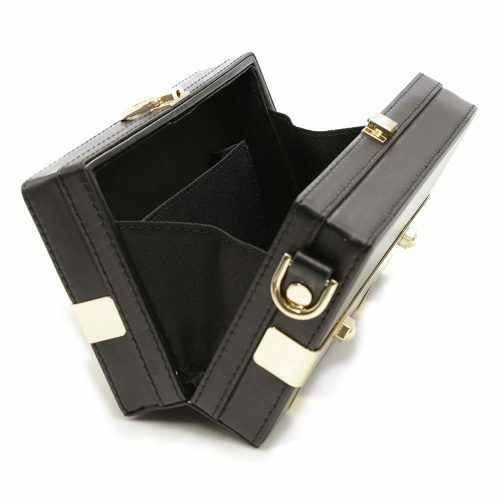 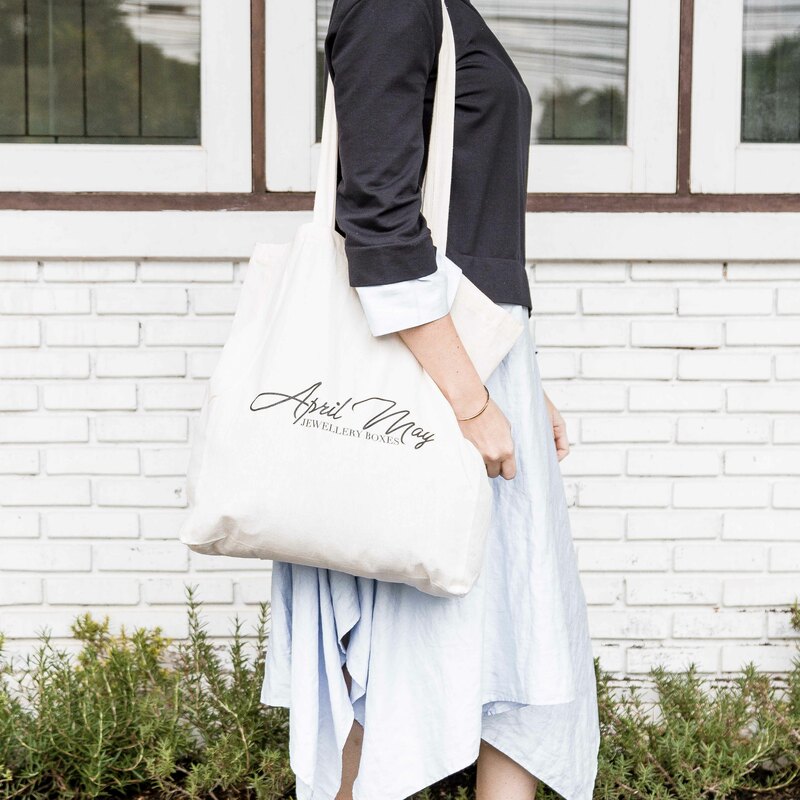 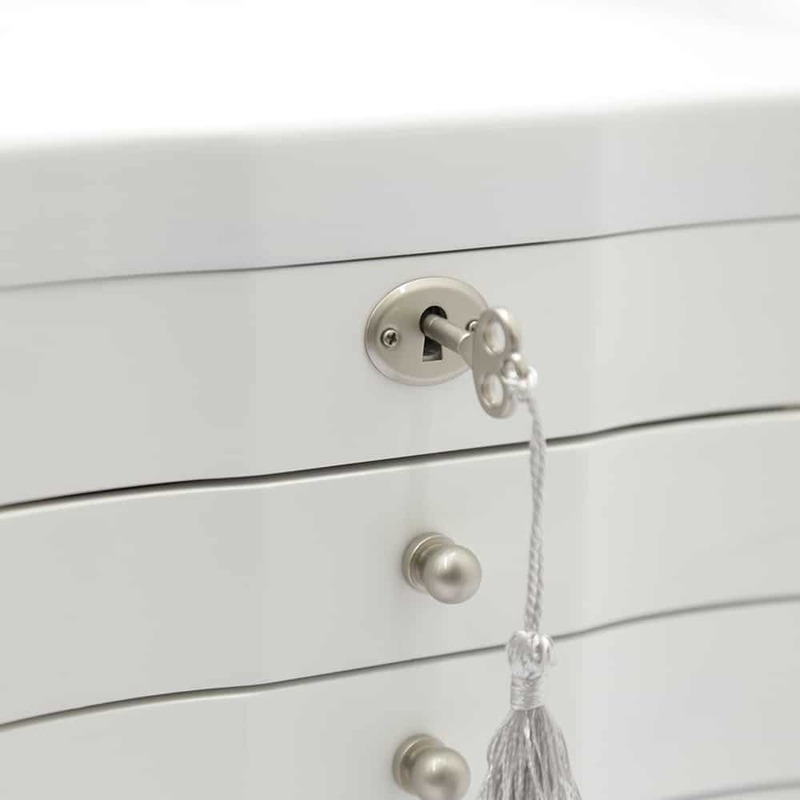 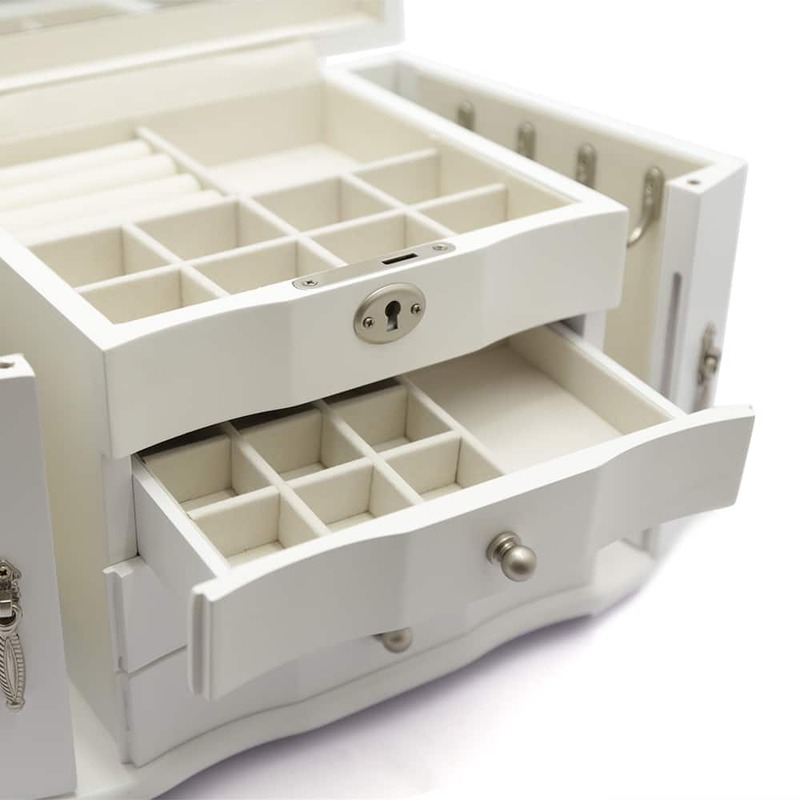 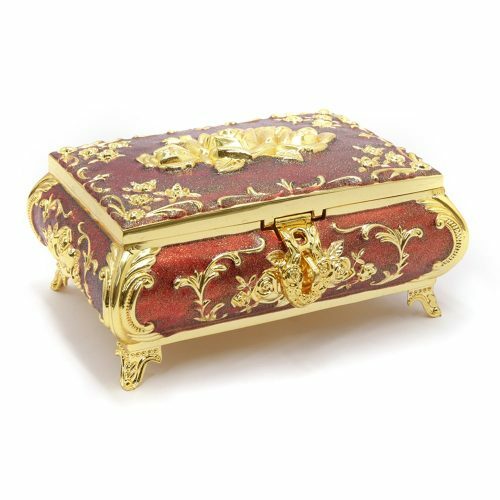 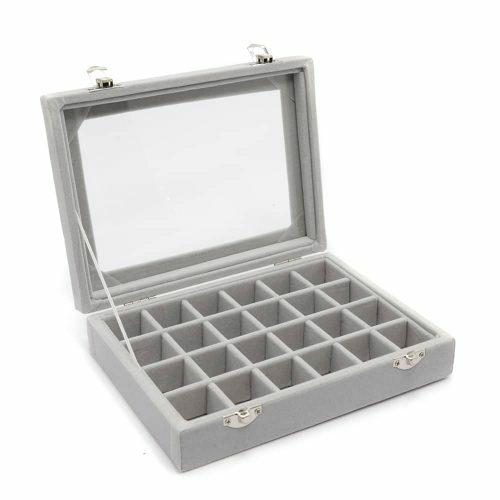 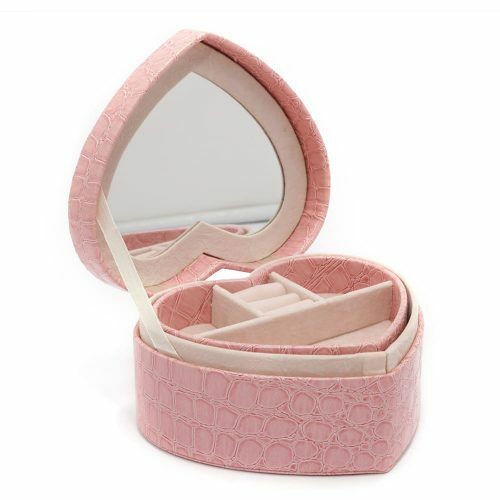 It also has 3 large drawers that pull out with multiple compartments perfect for storing your bracelets, rings, necklaces and other valuables.